I am a huge Meg Cabot fan, so it’s probably not surprising that I quite liked Insatiable, which I read last month (I’d put in my hold request quite early at my library). Having said that, I can kind of understand why it’s had some mixed reviews (I haven’t actually read any full blog reviews yet, so I’m going by the Amazon ones, which are definitely a mixed bag). Insatiable is written rather tongue-in-cheek, and I think if you keep this in mind, you’ll enjoy it a lot more. And one of the tongue-in-cheek things that Cabot does is throw in everything-but-the-kitchen-sink. If you’ve read the book, you’ll know what I mean. There’s a point during the “final battle scene” where your eyes kind of widen, and you think to yourself, “OMG, she’s throwing in everything but the kitchen sink!”. You might even say to yourself, “Wait a minute! I think that is the kitchen sink!”. Fun, nevertheless. At least, I thought so. Cabot’s also trying to get a few points across, too. Like this one: it’s not such a good thing to be stalked by someone who says he loves you – not even if he’s this really hot dishy vampire prince. Another is: He might say it’s true love, but when someone wants to swoop into your life and take total control of it, even if it’s in order to keep you “safe”, this is really not such a good thing. No, not even if he’s this really hot dishy vampire prince. Best phrase in the book? “… he definitely didn’t sparkle”. See what I mean about tongue-in-cheek? This entry was posted in Books and Reading and tagged flash reviews, Meg Cabot, Reviews, vampires on October 17, 2010 by Belle Wong. Things aren’t pretty for Emerson Watts. Em was sure there couldn’t be anything worse than being a brainiac the body of a teenaged supermodel. But it turned out she was wrong. Because that supermodel could turn out to have a mother who’s gone mysteriously missing, a brother who’s shown up on her doorstep demanding answers, a former best friend who’s intent on destroying Stark Enterprises to avenge the death of his lost love, and a British heartthrob who’s written a song about her that’s topping the charts. Not to mention trying to convince the love of her life that models aren’t really airheads after all…especially one model in particular. Being Nikki, by Meg Cabot, is the second novel in the Airhead trilogy, and despite the book’s cliffhanger ending, it was, on the whole, an enjoyable read. Being Nikki takes the original premise outlined in Airhead, and adds in some very interesting twists and plot turns. Now not only do we get to see what it’s like to find yourself in the body of a gorgeous supermodel, there’s also a good dollop of suspense and mystery. While I enjoyed reading Being Nikki a lot, I must admit the ending disappointed me. Not the fact that the ending is a cliffhanger; cliffhanger endings in a book can work, as long as they’re constructed properly. In Being Nikki, the mystery that occupies the characters throughout the book is resolved before we’re moved toward the cliffhanger at the end, so as cliffhanger endings go, this one works. I still don’t like being left in the air like that, but I’ll accept it enough to be on the edge of my seat for the last book in the trilogy. What disappointed me, then? It seemed to me that Em made what I call a “damsel in distress” decision in the end, which then leads to the cliffhanger. A “damsel in distress” decision, in my opinion, is a decision that generally results in the protagonist being put into peril unnecessarily. I probably shouldn’t call it a “decision”. It was more of an “I have no choice but to …” sort of thing. I just wasn’t convinced that Em had no other choice. Sure, what she did was noble and self-sacrificing, and guided us smoothly to the cliffhanger ending, but I wasn’t sure such a noble and self-sacrificing act was actually necessary, not for a smart cookie like Em. Still, I’m looking forward to Runaway, the next installment in the trilogy, to see what happens. 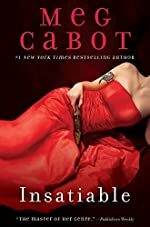 Cabot is a masterful storyteller, and in her hands the plot and characters are nothing short of fun. So despite my disappointment with the ending, I still found Being Nikki to be a good, fun read; if you haven’t read Airhead yet, I’d definitely recommend you read the two books back to back. Then settle back to wait for the last book in the trilogy. This entry was posted in Books and Reading, Reviews and tagged fantasy, Meg Cabot, young adult on September 7, 2009 by Belle Wong. What I Liked: Em Watts is just wonderful, the dialogue is very realistic (says this mother of a 15-year-old girl) and the story is pure fun. BUT: it’s more of a prequel, and at the end, I felt like it wasn’t really a complete story on its own. Ms. Bookish’s Very Quick Take: A great read for Meg Cabot fans; just be warned, you’ll be really wanting to get your hands on the sequel as soon as it comes out, because Airhead doesn’t really feel like it has a proper ending. This entry was posted in Books and Reading, Reviews and tagged Meg Cabot, YA novels, young adult on January 11, 2009 by Belle.